The map above shows the shocking number of people across Europe who reported that they can’t afford to keep their home adequately warm in 2016. Back in June we published a Map Of The European Natural Gas Network that gives a very high-level overview of the entire network from 2014. 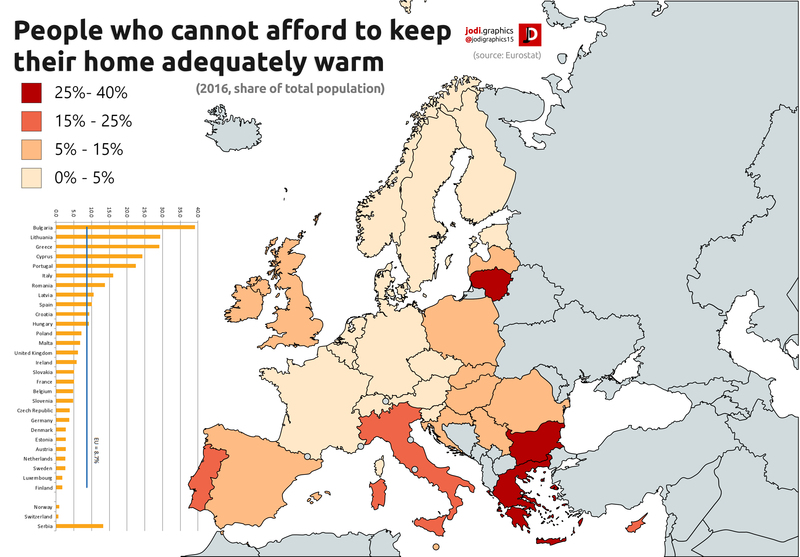 While a great map, it’s now a little out-of-date and doesn’t really offer a lot in terms of detail. 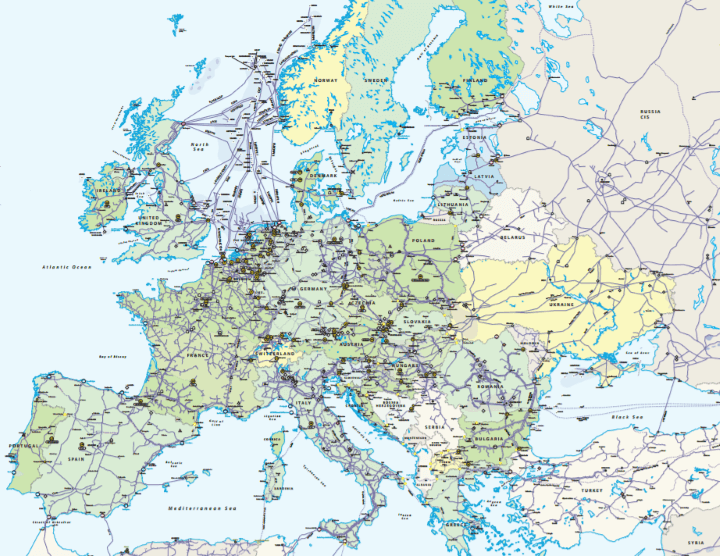 The map above, on the other hand, is an incredibly detailed, up-to-date map of the European natural gas network in 2017. You can click on the image above to see the full resolution version. 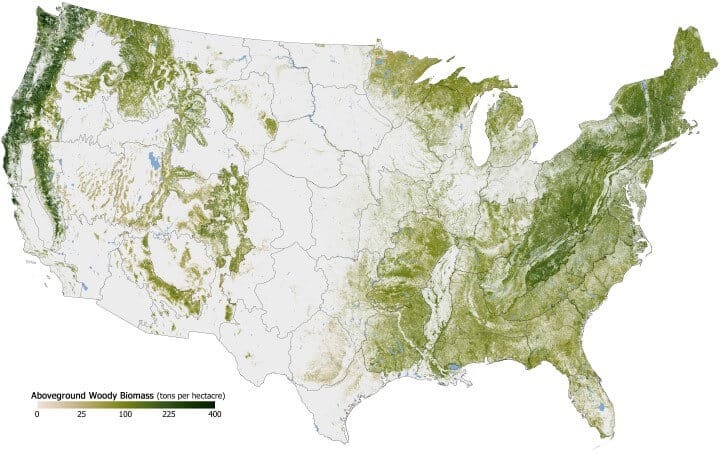 The map above shows the density of forest cover across the continental United States in 2011. The map above shows which US states used the most electrical energy for both light and power in 1921. 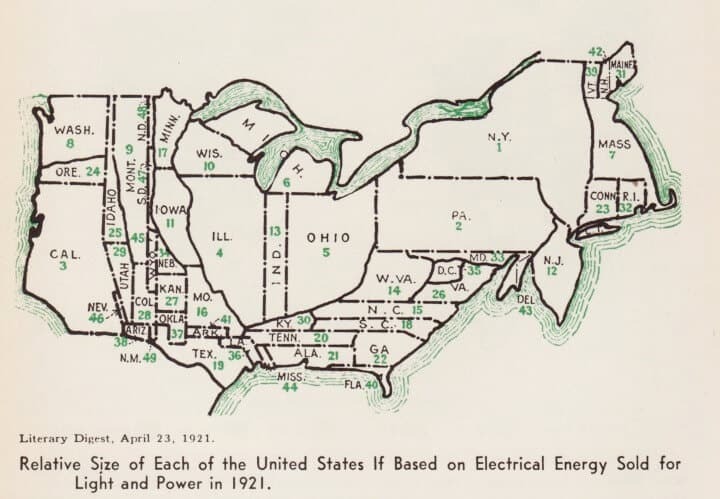 Essentially the map is showing a combination of which states had the most people combined with commercial and industrial activities. 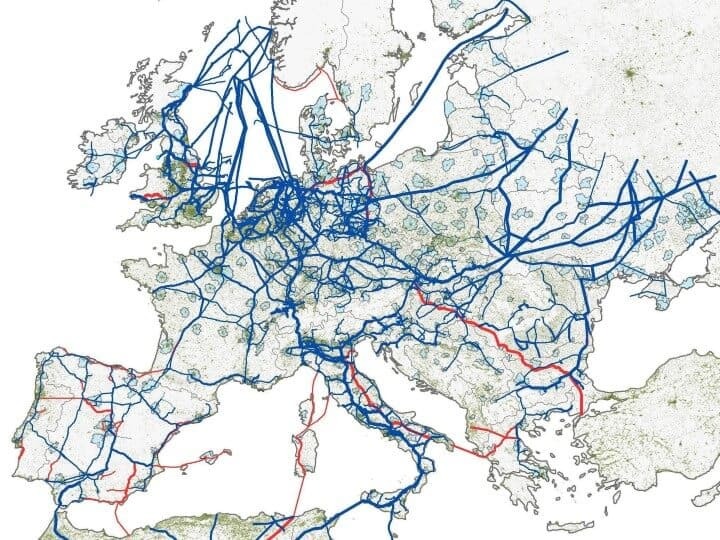 The map above shows existing European natural gas pipelines in blue and planned pipelines in red. Large urban areas area coloured light blue and population density is shown in green.